If you have been active lately on Instagram you might have noticed a decrease in the Instagram engagement rate – you aren’t alone. If you haven’t noticed yet the Instagram feed has changed due to the recent algorithm update significantly prioritizing posts, photos, and videos from users’ friends and family – leaving businesses and promotions behind. Social media marketing is changing…though not impossible to still have a constant cycle of engagement on your posts, it’s definitely more difficult than before to engage your audience. As a digital marketing agency, I have put together some of my proven ways to grow your Instagram engagement and followers organically increase for your business and brand while building up a loyal following of customers and grow your Instagram presence organically and engage your users. Instagram user engagement isn’t just about likes and comments anymore. 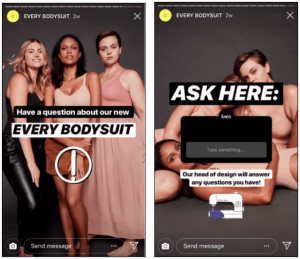 IGTV and Instagram Stories have opened the door to endless possibilities for social media marketing for businesses and Instagram influencers. It is not just popular hashtags anymore! The Question Sticker: This is a way to directly invite users to the conversation. Which product of ours is your favorite? What product are we missing? Which item on our menu is totally drool-worthy? Giving your audience the opportunity to speak their minds not only increases engagement but also gives you direct insight into your customers’ needs and wants. Poll Sticker: Should we create a pepperoni or sausage pizza on our menu next? Which color sweatshirt should our next line include – pink or green? Can you attend this event on March 26 OR March 27th? Like the Question Sticker, the Poll Sticker allows you to collect direct feedback from your audience – while significantly increasing engagement. It’s a win-win! Count how many Instagram contests you’ve been tagged in or entered in the last six months. Exactly. They’re simply hard to resist. A contest that only requires you to tag a few friends in the comments – no email, no spam, no hard work required? Of course, people will enter. 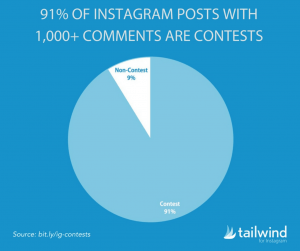 Surprisingly, only 2% of accounts on Instagram are currently hosting contests. This is a massively untapped resource you should take advantage of! It’s that easy. Say hello to engagement and a ton of new followers! There’s a reason hashtags have stuck around since 2007 – they work. Instagram allows you to use 30 hashtags per post, and we encourage you to use as many of those as possible. Divide that list of 30 into thirds to compile the perfect list of hashtags. Ten branded hashtags, ten niche hashtags and ten viral hashtags are the sweet spot. Take a peek at what your competitors are using, check out the top posts in your industry and get creative. A solid set of popular hashtags will approach your audience’s interests from all different angles. For example, if posting a mural of Dr. Suess in Detroit, #Detroit, #Mural and #DrSuess are great examples to start with – then branch out. #DetroitArt, #DetroitMurals #DrSuessQuotes branch out a step further. Test various sets out and decide which ones work best based on engagement levels. Take a peek at who liked your photo but isn’t already a follower. That means they most likely found that photo through hashtags. Is their profile an audience demographic you had in mind? Are you connecting with the right audience? These are all questions to consider when nailing down the perfect few sets of hashtags to target a greater audience for your brand with. Take advantage of Story highlights and utilize them! When a potential customer heads to your Instagram page, you have just seconds to peak their interest. Having descriptive Instagram Stories with keywords that describe the different types of content your brand regularly delivers is a great way to do that! Keep in mind Instagram Stories only last 24 hours, meaning your carefully created content has a limited window of opportunity to engage people. By highlighting your favorites, you can continuously keep a funnel of engagement going – and also excite followers about the upcoming stories your brand will post in the future! Instagram account @livingbydisney is an excellent example of the creative use of Instagram Highlights. Serena’s personal account devotes all her time to keeping Disney World vacationers up to date on all the current park happenings. One glance at Serena’s highlight panel attracts visitors to stick around for the best tips, fireworks info, park info and more! 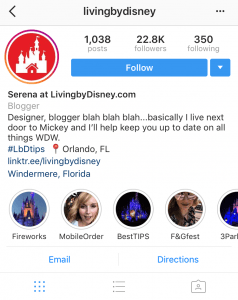 Without these Instagram influencers, users wouldn’t know that this account isn’t just a nice devotion to Disney, but a constantly updated resource of information. This may seem like a no-brainer, but it’s painfully overlooked. 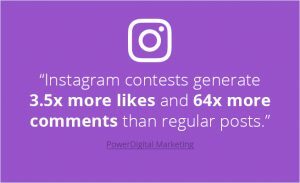 Replying to or acknowledging every Instagram comment on your posts and replies to your Stories is vital to Instagram marketing. Not replying to an Instagram door is like your customer coming to your storefront to shop – and you locking the door. Implement a social media Instagram strategy that requires you to check comments and replies 3 times a day – morning, evening and night to make sure nothing goes missed and the task doesn’t get too overwhelming. When replying, try to answer with a question. It’s a simple trick to keep the conversation – and engagement – going! We are a team of digital marketing mavens who live and breathe all things social media. We don’t post part-time. We don’t juggle jobs. This isn’t a passion project to generate a few bucks. And if we’re being honest, we work far harder than we play. For us, social media is life. We see the world through hashtags, filters, and killer content; and we wouldnt have it any other way. As a full-service social media and digital advertising agency, we’ve mastered the intricacies of everything from Facebook to Snapchat and the plethora of social media platforms in between.